You will need to officially register with COD online to receive a COD Email address and grade (this is not difficult, follow the instructions online). YOUR PARENT/GUARDIAN, HS COUNSELOR, AND PRINCIPAL WILL NEED TO SIGN THE FORM AS WELL. You DO NOT need to have copies of your photo ID or write the "short statement." JUST fill out the form! Click here for office hours for the office of Admissions and Records. If you wish to purchase a parking permit, please follow this link. Otherwise, parking is $1.00/day (cash only). Daily permits can be purchased from the Self-Serve Permit Dispensers on campus which are indicated on the map with Red Dots. Rehearsals are held WEDNESDAY evenings at 6:00pm at RMHS. Rehearsal dates and schedules will be posted on CODBand.net, and updated on a weekly basis. The form will need to be submitted AFTER the first rehearsal. If you wish to purchase a parking permit, please follow this link. Otherwise, parking is $1.00 (cash only). 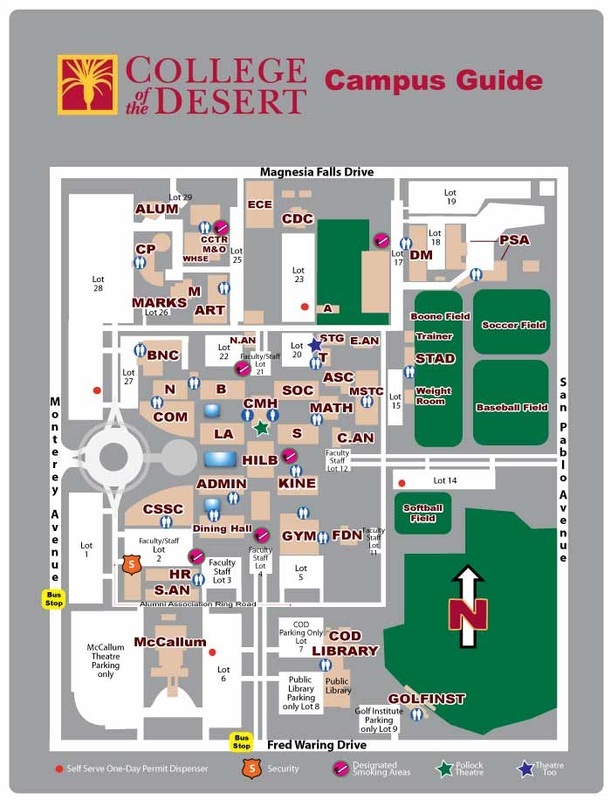 Daily permits can be purchased from the Self-Serve Permit Dispensers on campus which are indicated on the map with Red Dots. If you have questions, please email Mr. Fleischmann.